Fall is here and soon the holidays will be right around the corner before you know it. 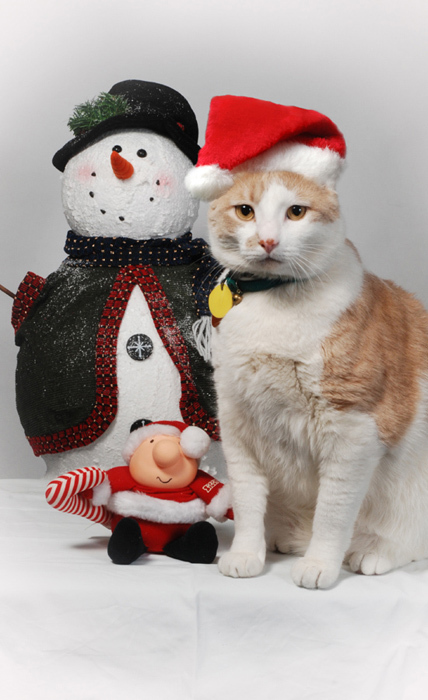 If you want a hint as to the best kind a gift to give this season, consider the gift of cherished memories. You’ve probably been putting off transferring those old movies, videos and photos stored in the closet. They have to be transferred sooner or later or else those memories will be lost forever. Then there are those old wedding and family portraits that might need a little repair or to be reproduced to share with other family members. What about sharing multiple copies of that family heirloom photo or video with the family so that it can be enjoyed by the next generation? One of the problems that some people encounter when they want to display multiple photos is how to frame and display them. In the past, an expensive custom made matt with multiple openings or those cheesy readymade multi-opening frames where the only choice. 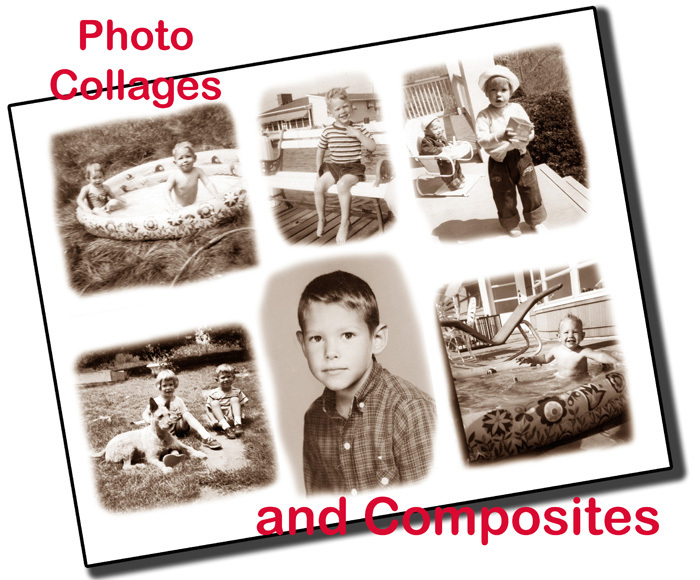 Now, by using digital technology, photo collages can be created in a single photograph for you. There are so many things that can be done today using digital imaging including removing backgrounds, colorization and combining images. Transferring of old audio tapes and records to CD, can also be another great gift. We have done a lot of interesting jobs for people, but one example that seems to stand out is a 50th. 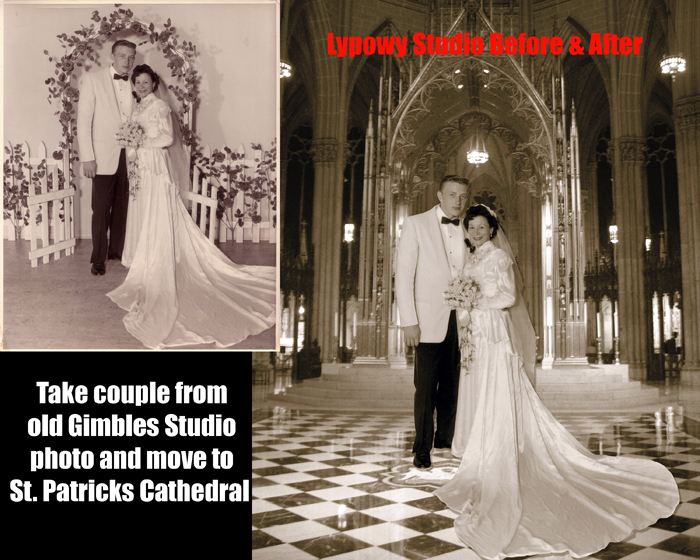 Anniversary couple who originally got married in Saint Patrick’s Cathedral in New York. At the time, they could not have their pictures taken at the church; instead at the old Gimble’s Portrait Studio. It bothered the couple never to have the picture taken in the church, so for their 50th. Anniversary, we took their image out of the old Gimble’s portrait and placed them into an image of St. Patrick’s. Besides the old memories there are new memories to be had too! How about a portrait with the grandkids and children? Maybe a gift certificate for a family beach portrait this coming Spring? Maybe that 50th. Anniversary party or clubhouse play? 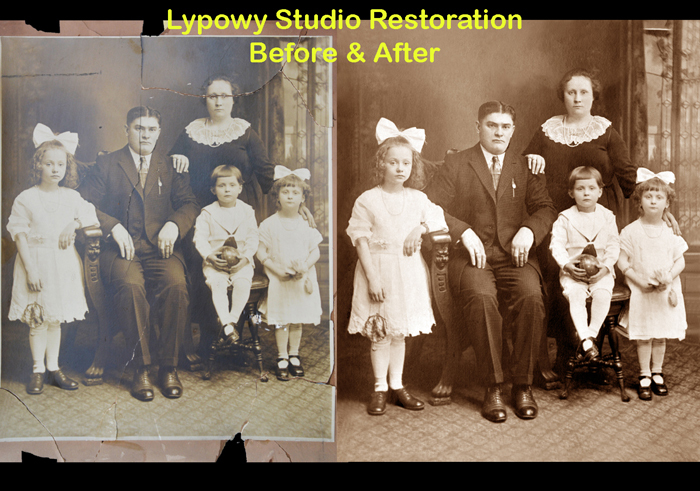 My name is Joseph A. Lypowy , owner of Lypowy Studio Photography and Video. We have been in business since 1978 providing all aspects of photo/video services for businesses and individuals. Visit our website at www.lypowystudio.com or Facebook https://www.facebook.com/Lypowy-Studio-Photography-Video-146519005405032/ .